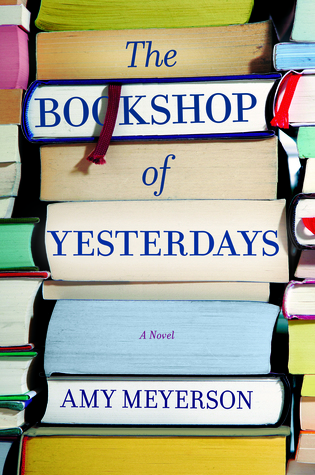 The Bookshop of Yesterdays by Amy Meyerson is a recommended novel about family and secrets. Miranda Brooks hasn't seen or heard from her beloved Uncle Billy since her twelfth birthday when Billy and her mom, his sister, had a falling out. Before that day, Billy was always present in her life, if a bit inconsistent due to his job as a seismologist. She loved following the clues in the scavenger hunts he created for her. She loved spending time in Prospero Books, the bookstore he owned. Miranda was devastated when he stopped all contact with her. Now sixteen years later Miranda is a history teacher living in Philadelphia and she has just taken the big step of moving in with her boyfriend. When she learns that her Uncle Billy has died, she decides to return to Los Angeles for the funeral. Once there she discovers that Billy has left her Prospero Books and one final scavenger hunt. 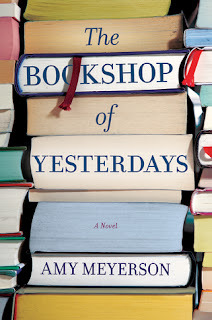 Miranda takes on both the failing bookstore and the scavenger hunt, which both reveal family secrets. The writing and story are easy to follow in The Bookshop of Yesterdays and include many literary references in the clues. The result is a nice relaxing choice for summer vacation reading. There are plenty of quirky characters that Miranda meets along the way and some family conflicts that need to be resolved. The big family secret is relatively easy to figure out from the start, which makes the novel more about Miranda's journey and the clues she follows that lead her to the truth. This predictability made the final scavenger hunt feel like it went on for far too long, especially since the references in the clues won't be that obvious for many readers. Life intervened before I finished writing this review and during that time my final rating changed. This is a solid 3 stars, maybe 3.5. The fact that the easily discerned truth was hidden from her never seems to be a reasonable or logical choice for adults to make, which, in turn, makes the scavenger hunt seem rather pointless. Sure it gives her one last connection to Billy, but a heartfelt letter explaining everything would have also worked. Also most adults would have figured it all out earlier, or at least have had a good idea.